Dashly is a real-time Magento Mobile Dashboard and Admin App for both Android and IOS Phones, Tablets and iPads. 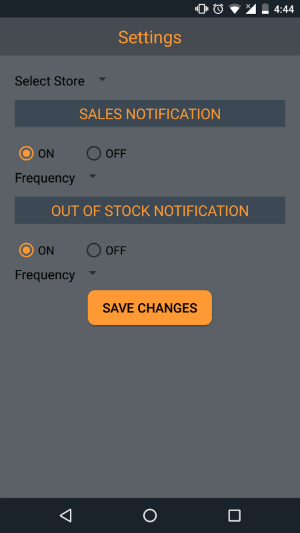 It lets you connect to your Magento Store on mobile phones and tablets and get live access to all vital store information such as Sales, Revenue, Invoice, and Shipment information. 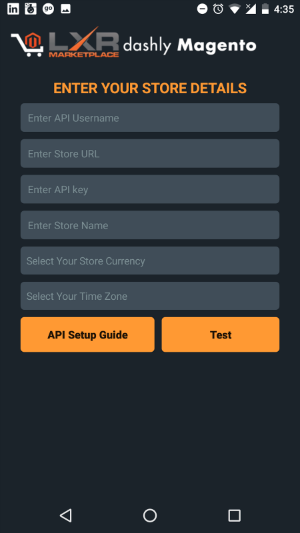 You can also connect with any number of Magento stores from your app. Best of all, there is no need for any type of coding. Anyone can simply install this app by creating an API user in your Magento store. 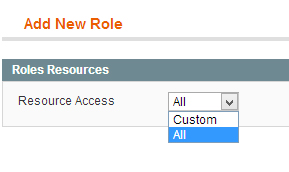 We also provide a helpful guide with screenshots on how an API User and other roles can be created. Get detailed information about each aspect of your e-commerce business by tapping the relevant widget. 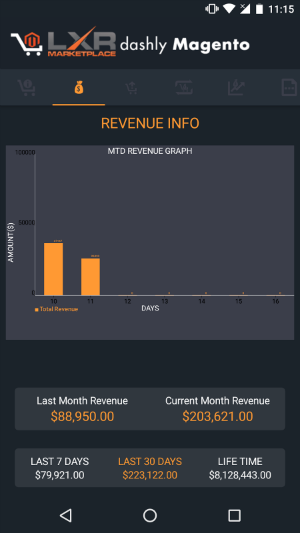 For example, if you want to know your revenue trend, just tap on the revenue widget, and you'll see the month till date revenue chart. 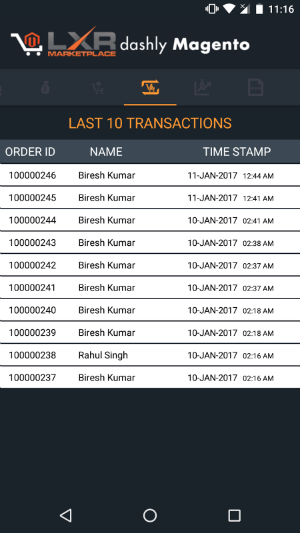 Take a closer look at each order to know who placed the order, what items were purchased within two taps, and so on. Quick overview of all pending orders that need your attention. 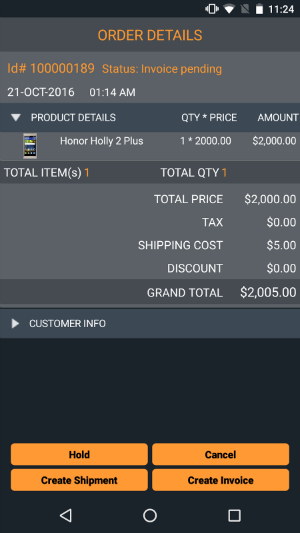 As an option, you can simply generate an invoice or process a shipment, or even hold the order, directly from your mobile. Ability to add multiple Magento stores targeting different geographies. 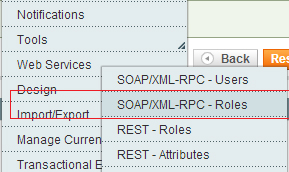 Step 2: Create Role for the web services. A. 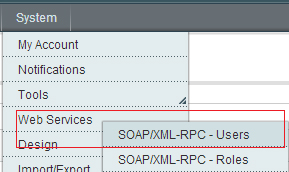 Go to the Web Service Roles screen from the System menu. B. 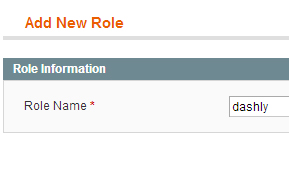 Add a new Role. *If you already have a suitable role, feel free to use that instead of creating a new one. C. You might like to call it dashly but you can call it whatever you like. D. Choose selected resources as shown. A. 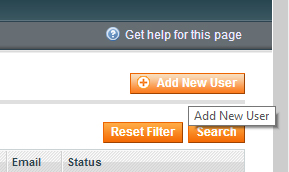 Go to the Web Service Users screen from the System menu. B. Add a new User. C. Fill in the details, choose any username and key you like, the key should be secure, and unique. D. Choose the role for this new user, or an existing role if you did not need to create one. * Then Save your new Web Service user and you’re done! 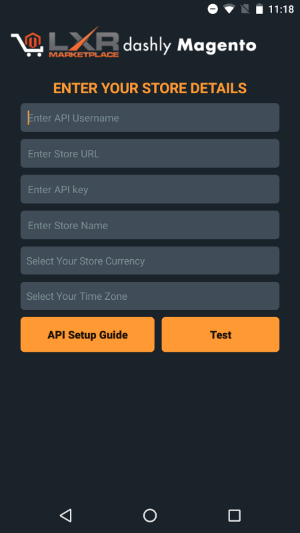 Step 4: Open the App and enter your API username and Key along with store details. 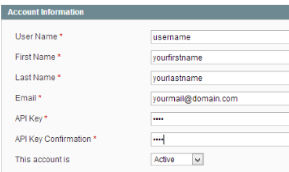 Step 5: After entering the information Test the connection and if it is successful, you will now access the Dashboard. 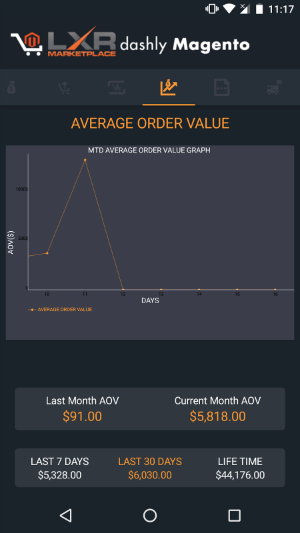 The Dashboard consists of several widgets which provide you the latest snapshots of your store's order information in an easy to read manner. You can tap on individual widgets to get more data. It also contains the number of orders that are pending invoices or shipments. Description of each widget is given below. In the order details page you can view the Product and Customer details. 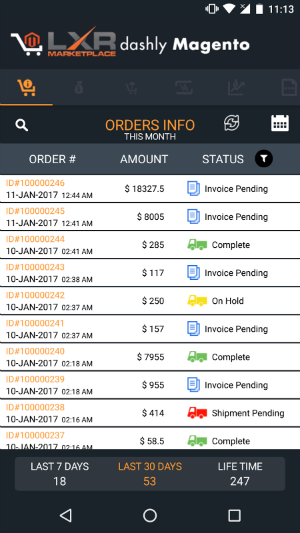 If the order is pending then you can perform operations such as Hold the Order, Cancel it, Create Invoice or Create shipment if the invoice is completed. 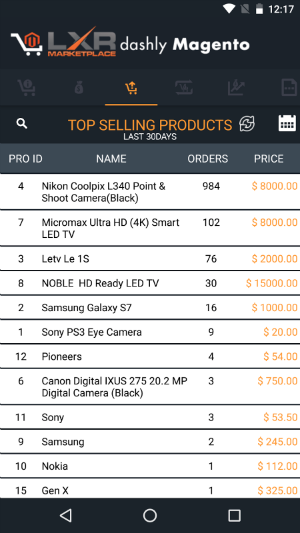 Top Selling Widget: Displays the current day’s Top Selling Product and its price. 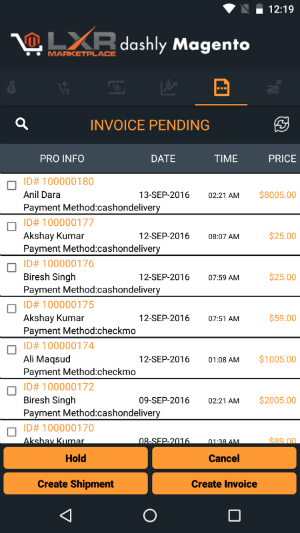 Tapping on it, leads to Invoice Pending List, which shows the list of all orders for whom the invoices are pending. 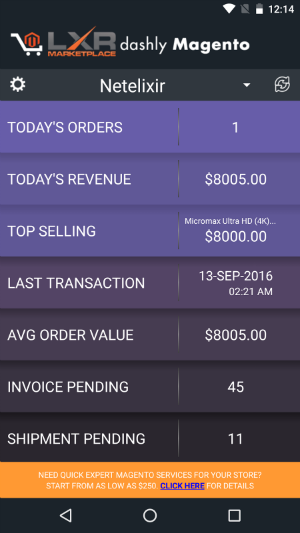 You can select single or multiple orders and create invoices for them by tapping the Create Invoice button. You also can create shipment for the same orders. Orders can be placed on hold or cancelled as well. 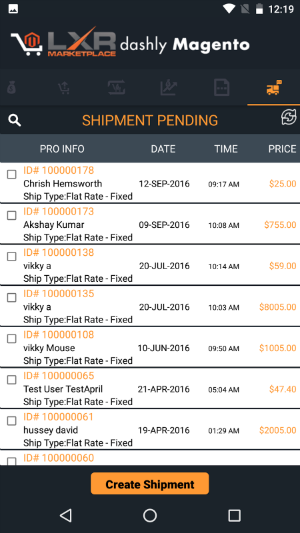 Tapping on it, leads to Shipment Pending List, which shows the list of all orders for whom the shipments are pending. 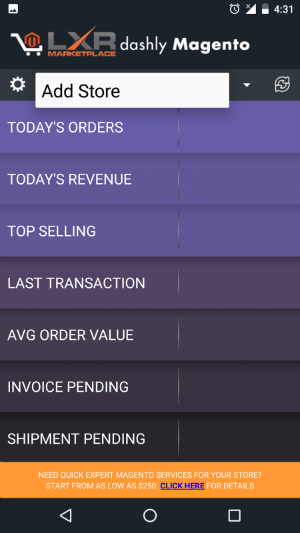 You can select single or multiple orders and create shipments for them by tapping the Create Shipment button. 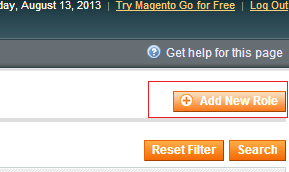 Add another Store: You can add multiple Magento stores to your Dashly App using this option. 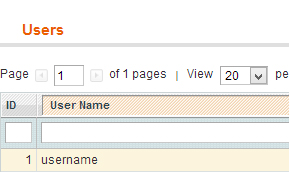 Select Add Store option from the drop down icon next to your store name.